A couple of snaps from a gala dinner we went to a few weeks ago. 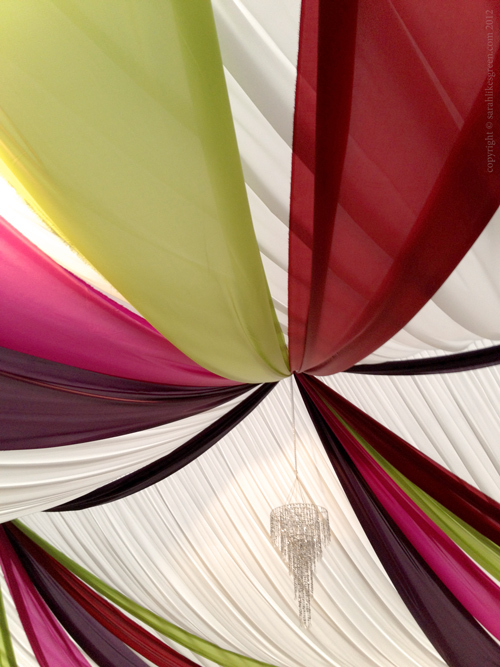 The event took place in a large marquee, the theme Moroccan. Absolutely beautiful event decor, with flowing stripes of fabric accented with sparkly chandeliers, stunning table settings with several alternate color combinations (same as the ceiling and wall decor) working well together. 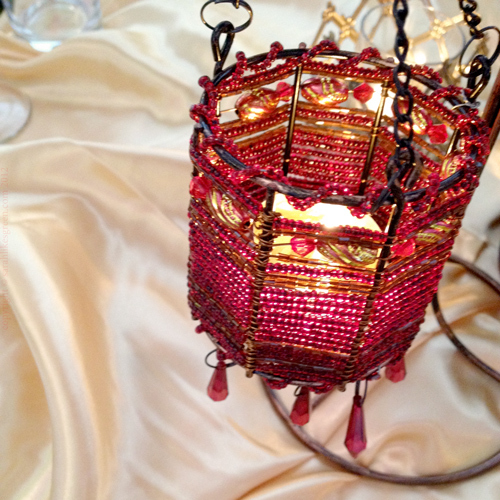 Beaded and gilded accessories, shiny tablecloths and chair covers completed the look. The food was just as great - north african cuisine to match the theme but there was also a sushi bar as well as h'or d'oeuvres. A lovely evening!